After a five-year absence, F1 fans are set to be offered FanVision consoles at all F1 events in 2018, providing trackside access to live commentary, television feeds, in-car camera views, team audio communications and live statistics. FanVision consoles, which only work trackside, were last available to F1 fans during the 2012 season. They disappeared in 2013 when Racing Electronics, the company which supplies them, was unable to agree a new deal with then-F1 commercial boss Bernie Ecclestone and Formula One Management (FOM). Many F1 fans were sad to see FanVision go at the time, with one going as far as launching an online petition begging Bernie Ecclestone to bring them back! The consoles provided an unrivalled trackside experience, keeping fans up to date with the on-track action in a far superior way to big screen TVs and PA systems. How the FanVision console looked like back in 2012. What improvements will the “revolutionary new product” offer in 2018? A lot has changed in the five years since FanVision left Formula 1, of course. The sport is now under new American ownership for starters, so it is not surprising that Liberty Media have been in talks with the parent company of FanVision, also based in the US, about a return. In a further sign that a new deal is imminent, FanVision was made available to fans at Circuit of the Americas for last year’s United States Grand Prix. It also remains to be seen whether FanVision will be integrated with the current Formula 1 access subscription offering (available on web, mobile and app) or be offered as a standalone product. FanVision is currently available for Nascar, IndyCar and NHRA Drag Racing events in the USA. Consoles can be purchased outright for $229.95, then activated with a per-event subscription, or rented trackside from $34.95 per race. A new “Legend” console, which combines FanVision with an analog race scanner, plus HD display, WiFi and Bluetooth, is also due to ship on April 9. Learn more about FanVision at Racing Electronics, or stay tuned for the official announcement from Formula 1, which can’t be too far away! 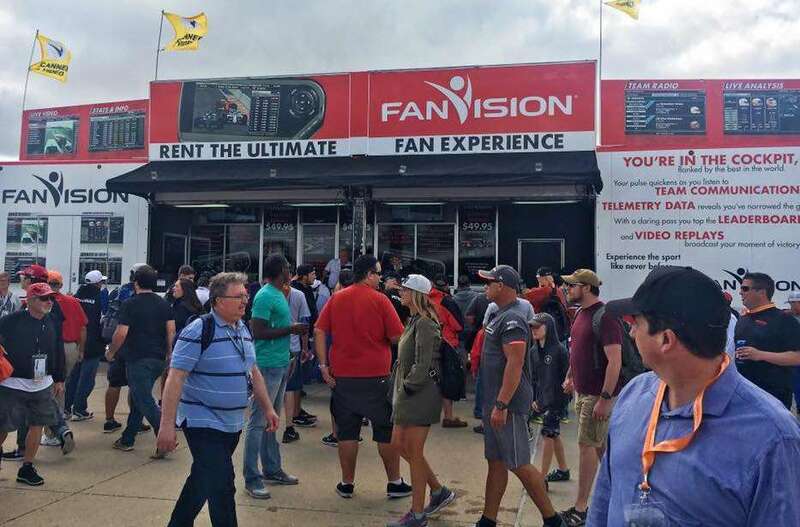 We first rented a FanVision at the 2017 US Grand Prix at COTA and really liked it’s functionality and user-friendly interface. It worked great with our Bose QC35 headphones. Last month we attended the German Grand Prix during a European vacation and again rented a FanVision. The newest model is thinner and lighter than the one we used in 2017 and is very easy to use. The only problem we had is that we were unable to charge the unit overnight using the standard micro-USB charging port, so we had to stop by their booth on both Saturday and Sunday mornings and get the battery swapped out with a fresh one. This wasn’t really an inconvenience since we had to walk by two booths at Hockenheimring to get to our seats. Overall, highly recommended for the dedicated race fan who wants access to as much info as possible. If you’re going to share the unit, make sure that you bring your own audio splitter as FanVision doesn’t provide one or even have one that they can sell you.